I think it's safe to say that I'm not the only one who walks into Sephora like I'm on a mission... every. single. time. It's pretty hard to walk by the store without going in and spending money. 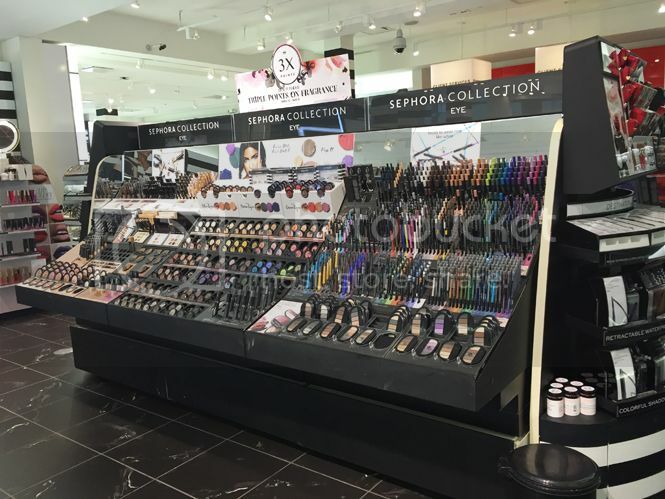 Whether you're a beauty lover or just in need of some new makeup/beauty products, Sephora is the best go-to place for all of that. It's like entering the beauty god's den and making yourself at home - all of the products to try on and all of the perfume to smell! By the time you realize you're two shopping bags deep and get on line to pay, your wallet is screaming and two hours of the day have come to pass. Try a ton of samples: something many people don't know or realize is that you can take home product samples! This is my favorite thing to do - I'm constantly trying new products and instead of spending upwards of $50 to find out if I love a foundation, trying a totally free sample first is a huge money saver. You can try samples of any product you'd like to, too! I always come home with new samples and try things out. Then I can decide what's worth the money and what isn't. Rack up the points: whenever you make a Sephora purchase, you gain points - assuming you're a beauty insider (I mean, who isn't?). For every dollar you spend, you get a point. So buy a $45 foundation, get 45 points. Make a $100 purchase, get 100 points. Apples to apples, yeah? ; ) These points don't expire, so keep racking them up. Sure, it's tempting when you go to check out and the employee helping you asks if you want to redeem your rewards... but it's well worth the wait to save these oh-so coveted beauty points and get bigger rewards later on. The more points you have to "spend", the better the product (samples) you can pick from. Take advantage of the "current offers": who doesn't love free stuff?! There are always a ton of offers you can choose from when making an online purchase. For example, right now there's an offer to receive a beauty bag with 9 (nine!) perfume samples with a purchase. There's always great brands to pick from too, I always try to choose some of my favorites so I have mini to-go bottles that I can take with me on the daily. These are also great to rack up as stocking stuffers! Use the Color IQ: this is something I came across not too long ago and although it's fairly new, I wish I knew about it sooner. If you're looking for a certain shade of foundation that'll match your skin perfectly, this is SO for you. It's so fun too, the Color IQ skin matching tool takes images of different parts of your face tones so that it captures every shade and tone to assure that the color matched to your skin is a true match. From there, all of the different brands that have shades within your face color range come up and it's like Christmas morning!!! You can even ask for your IQ number and save it so that you can shop for products in your range online. I love this tool, I've been able to try soo many new products since having my Color IQ number! Download the Sephora app: having this app and being logged into your beauty insider account is most helpful when you're shopping in-store. You can view all of your past purchases to help find things you love quickly; and my favorite feature - you can scan an item in the store to quickly read reviews written about it! Also make sure you check the app weekly (or daily, whichever works ;) for new deals that are exclusive to beauty insiders. Moral of the story? Maybe leave your wallet at home when going to Sephora... ; ) kidding, that's impossible! There are a ton of ways to make sure you're making the most out of your Sephora shopping trip because lets be honest, makeup and beauty is more than a lifestyle! 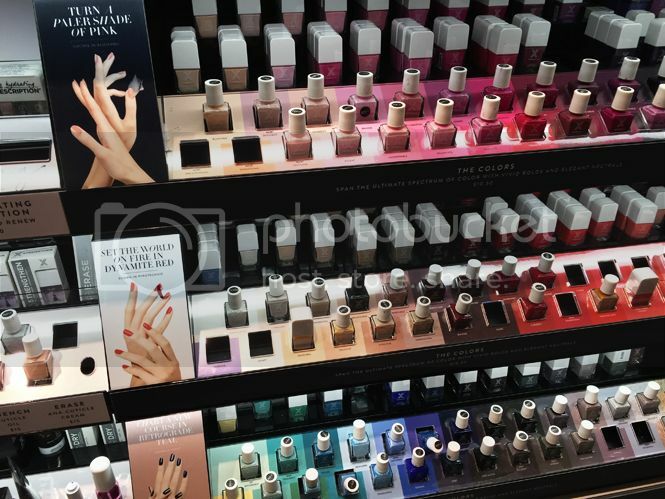 Do you have any Sephora shopping tips you love? Pay for Flash Shipping during a VIB sale to get free 2 day shipping for a year! I HATE paying for shipping and Sephora is kind of a drive from me (and it's small) so now I can order whatever I want and have free 2 day shipping for a year! Best 10 dollars EVER! Love this post! Sephora is always my go to for makeup. Awesome tips! I always forget that Sephora offers so many free samples. 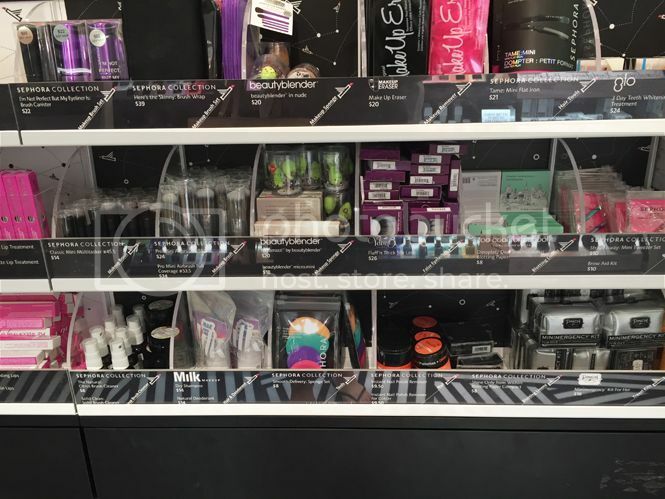 A new Sephora just opened up in my college town, so I'll definitely be using all these tips! I am a sephora junkie! Love these tips! These are great tips. I always get so distracted by all the goodies in Sephora lol. Great tips! Everytime I visit Sephora I am on a mission (my bank account would like for me to not be on a mission. Anytime I go to buy makeup if samples are available, I am trying them. Of course racking up points only helps you! I haven't been inside a Sephora in ages. I am definitely overdue! Those products by the checkout are so dangerous. I try to avoid them at all costs, or I'll spend way too much money. My new thing is to get samples of face masks, take them home and see if they actually do anything. Most don't. Hence I saved myself a lot of money but building a mask collection. I've never been to Sephora, and I don't use much makeup, so I like that you can take home samples before committing to a purchase. I'll have to check out Spehora next time I'm looking for some makeup! I love the sephora app and getting points is like an addiction!! Great tips! I love me some sephora, and all those samples! These are awesome tips! Downloading the app as we speak! I've never been to Sephora! I really hope they open a branch in Manila soon. This will definitely be my new favorite store if that happens. I always love going to Sephora...my wallet doesn't! These are great tips! I am not a huge makeup wearer but I will keep this brand in mind when I go shopping for another brand! I didn't know that about the samples, great tips! Great tips! I was so impressed with the foundation match finder! I've never shopped at Sephora, but I love the idea behind the point reward system. I would love to pick up a few samples next time I go. Awesome tips! I actually had no idea that you could try samples! You hit the nail on the head. I love Sephora, great tips! OMG! Sephora is what I love! I actually try all things that I want. I had no idea about the Color IQ. I am so going to take advantage of that information! I'm excited to more easily find things that work for me. I have actually never been to a Sephora store. I've seen that they have such great makeup though. I really need to get to one and check it out! Since I flat refuse to shop at Ulta anymore, Sephora is my favorite makeup store. I can't wait to tell my teenager about the app. That will help her remember what her favorite purchases are. Such great tips! 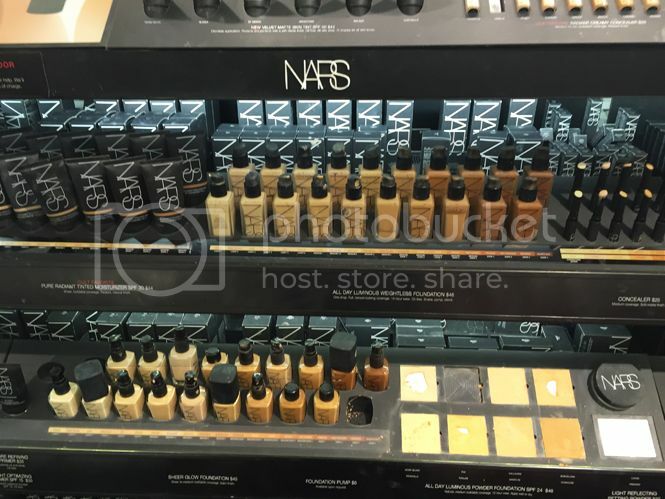 I haven't shopped in Sephora much, but when I do, I'll definitely have to reference this post. I have never really shopped at Sephora, but I think their store is so beautiful and I go in spurts of wanting to wear more make up. Love all these awesome tips for getting great deals and steals at Sephora! Great post AD....I wasn't aware Sephora offered all these options.thanks for sharing! My mom loves Sephora! Need to share these tips with her! I am not in to much of makeups, but these are some great tips for sure that will help many stay fresh. I have never been to Sephora before, but I love those rewards system & would love to checkout their app too. These are all things I totally do! I'm in no way a huge makeup-buff, but when I do need makeup, I always try tons of samples, and love getting points for purchases! I had no idea that Sephora had an app! The Color IQ sounds like a really great way to find your perfect colors, and in a simpler way than before. Great Sephora shopping tips! I love using the Sephora app and the current offers for both online and in-store. Your essay should be based just on one topic as in our example. Do not try to cover everything you were speaking about during the entire Fall or Spring. Look here top ipad college essay writing students for more information. Hey! Would like to follow the same tips for my next shopping. To be honest have never knew that these things we have to keep in mind while shopping for the beauty products. A great love to this brand! I am in love with this brand of lipstick. I have tried many brand but never seen a brand like this. Been disappointed by these brands I jump to this one and this is something that I want.